Attracting customers from across the country, being featured on multiple “Best of” TV shows, breaking three world records, and frequently seeing lines with hours-long waits – sounds like a restaurant owner’s biggest dream. For longtime Rewards Network program restaurant San Pedro Fish Market & Restaurant in San Pedro, CA, this is their reality. But having all of these successes doesn’t mean the business is without its challenges. Your family has been operating the San Pedro Fish Market for over 60 years, but the restaurant was a later addition to the business. So why did the family decide to open the restaurant after the success of the fish market? My uncle [Tommy Amalfitano] had this ambition to have the largest fish market in town since he was 15 years old. I think he just saw the restaurant as a natural progression because we were already selling some cooked seafood like crab and lobster. We’re Italian and everyone cooked, so I think he thought we could take some of those recipes from the family and turn it into a restaurant offering seafood. Were there any challenges your family faced when opening the restaurant in 1982? Did you have to make any changes in the first few years? That [year] was the last time we had a major El Nino here in Southern California, and since all the seating on the new restaurant, 300 seats, was mostly outside, we almost went out of business the first year we opened. Tommy was like “Well, this restaurant thing isn’t working out so well, and we can’t get people to sit outside because of the rain,” so he had to innovate. He started to look at what other restaurants were doing that seemed to be working and he brought some of those things into our restaurant. What really became the most popular — that he sort of invented — was that if you see something in the showcase that you like, for an extra fee we’ll cook it for you and you can enjoy it here. In addition to what we have on the menus — clam chowder, fish and chips, swordfish sandwiches, some of the kind of typical seafood items — we let people create their own items. Then Tommy noticed, in some of the Mexican food restaurants, they’re starting to serve something called fajitas. They add bell peppers, tomato, onion, and a seasoning. We can come up with a seasoning and get those veggies ourselves, adding red potatoes like they do on the East Coast. It just sort of evolved and became this really popular signature option that we’re known for. If you Google Search “super tray” or “#supertray” and our name, you’ll see a video that was put out by Foodbeast in March that’s been seen 40 million times. that brought in a whole new demographic of customers that we didn’t know existed. So that’s been huge for us. It seems like quite a turnaround from those initial years with the restaurant. And we know it’s not just Foodbeast that has recognized your success. Can you tell us about some of your other TV appearances and how “Kings of Fish” came to be? We’ve been on a lot of shows. We’ve been on “Food Paradise” on the Travel Channel. 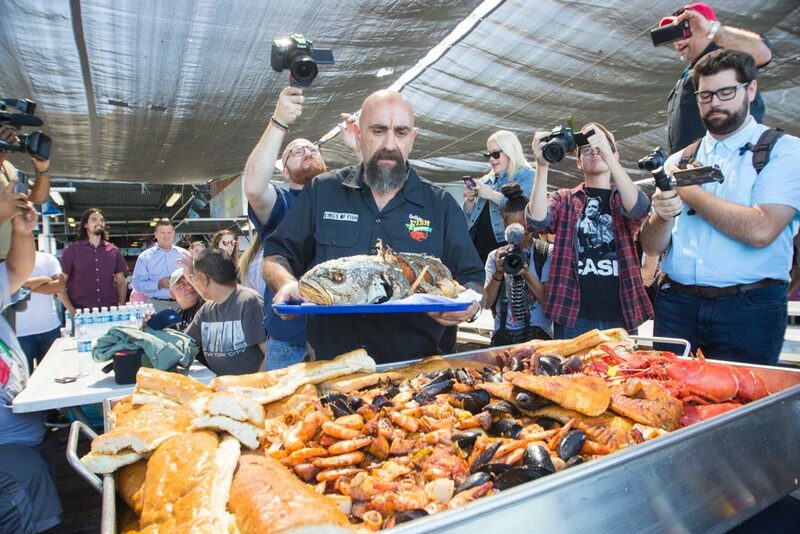 We’re actually going to be appearing on the Food Network soon in another series called “Best in Seafood,” and we were on the Food Network before and a couple of other channels. What we noticed is that every time we’d be on, people would kind of call and check in and want to know where we were. It was really interesting how that happens. My brothers and I and my uncle, the family, were sitting there like you know, I don’t think they know who we are. We just took for granted that everybody knew our story, but we never talk about it. So we started experimenting with putting it out on social media in different ways, and people were really receptive to it. We had a company come out and do a sizzle reel and they were shopping us around as a reality series — like “Duck Dynasty,” but with fish. It looked really good [but we decided to] just hire a company and produce our own content. We can control the narrative so people know who we are and what we do. Hopefully that would help us to maintain this location during the development, as well as build our retail products in the grocery stores. And that’s exactly what it did. Now we’re the anchor tenant for this development because now they see who we are and what we do. And our sales are so competitive. We are the second most-visited paid seaside attraction on the West Coast. Number one is Sea World. You’re entertaining people and they’re like “Hey, I didn’t know all these things about this business, we need to go back,” or “Hey, I saw this business or I saw this video and I wanted to check this place out.” It helped build sales for us. It helped secure our spot in the development. And it’s helped to open the door to new locations, so it’s been great all around. All kinds of new opportunities for us. It’s weird: I’d read these comments [that] would say “Oh it must be some big corporation that owns that whole thing and they don’t care about anybody and they just take money and blah blah blah.” And I’m like, are you kidding? I don’t see my wife and three daughters on a holiday or a weekend for 10 years because I’m down here cutting and cooking fish. I’m just a guy [laughs]. Now, it’s different. Now, people are like, “Oh I saw that! I didn’t know you were the owner!” And people feel connected to you. For a web series, “Kings of Fish” is very professional and well crafted. What’s your secret? We use Von Skye Productions. Tim, who’s our executive producer, does “Bar Rescue” and “Iron Chef,” and he brings in guys that also do “Wicked Tuna” and “Deadliest Catch.” They know how to make food look really good, but they also understand drama and story arc. You know, you’ve got to have conflict and you’ve got to have a resolution. And there’s all that rising action in between that they make a living on. [But] if we go to TV, the kind of drama that a network’s going to require is not the kind of drama that we want to be in. We didn’t want to be cat-fighting and stabbing one another in the back and storming off. We wanted it to be lighter and fun —what we really are like and not what the network wants us to be like. So now we can control the story and produce the return that we want. For those of us who are about to be hooked too, can you tell us what to expect in season four? The next episodes are going to be released two at a time because we’re trying to push people over more towards YouTube and less on Facebook. We don’t really have the presence there that we’d want to have. But the storylines are going to be around how we’re going to open these three new restaurants. We didn’t plan to, but we don’t know how to not do that. Because even though we’re going to be the anchor on the redevelopment, there’s so many things that could still go wrong. And we’re concerned it could affect sales. So we’ve got to do this expansion. We’ve got family growing. We’re busting at the seams! We’re shutting down freeways on the weekends. We’re creating problems with the police and the community. So, we’re looking for ways that we could expand and keep creating jobs for family, but we don’t have the money to do it. 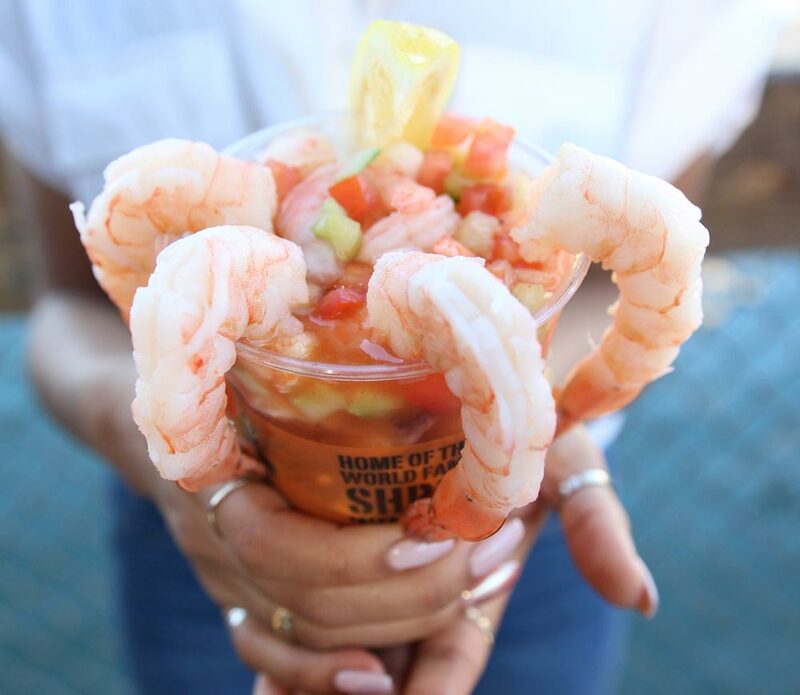 Want to learn more about San Pedro Fish Market’s plans for expansion and how they’re planning to keep the business running for the next generation? Check out part two of our interview with Mike Ungaro! In the meantime, check out the latest in industry news with our free eBook “Restaurant Trends in 2018” today!